Product provided by brand representatives as part of the Maker’s 46 Bourbon #GetCozyCocktail eggnog challenge. Photos, opinions and recipe are my own. 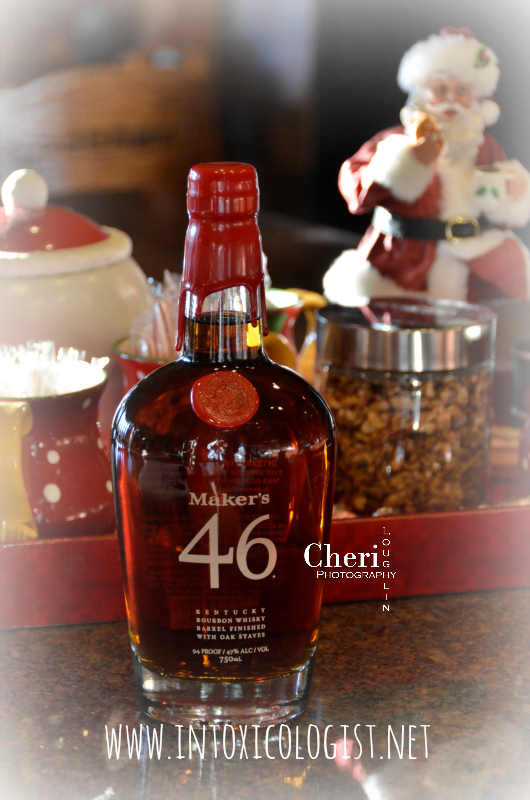 Maker’s 46 Bourbon representatives invited me to take part in the #GetCozyCocktail eggnog recipe challenge. To be perfectly honest, I’ve only made eggnog once in my life. I used raw pasteurized egg in the shaken drink. This time around I used a slow-cooking method. After considering Maker’s 46 bolder flavor and vanilla and caramel notes, I chose to use sweetened condensed milk rather than whole milk and granulated sugar. Sweetened condensed milk carries caramel notes in its flavor in my opinion, so I thought it would be perfect for this recipe. Additional use of condensed milk helps keep the eggnog thick and rich. The basic eggnog batter is very thick until the bourbon and salted caramel whipped cream are added. 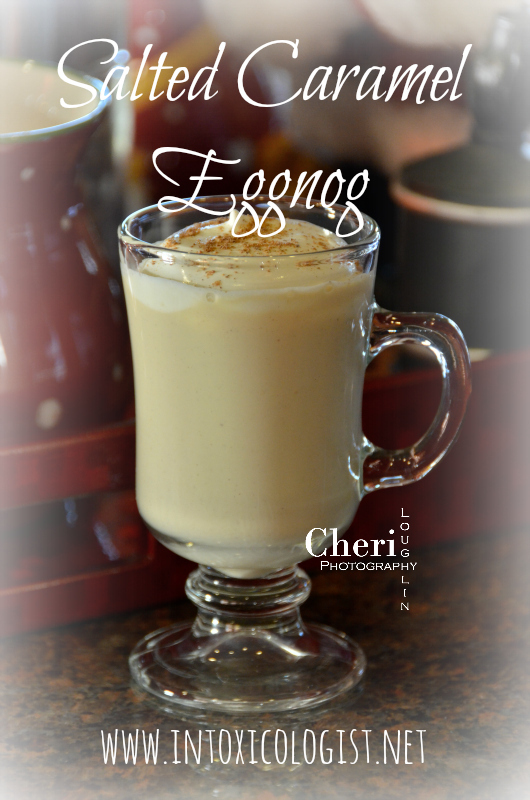 Even so, the eggnog itself is rich and creamy with gentle spice flavor. It’s eggy enough to carry the feel of eggnog, without being overbearing. It tastes a bit like rich pumpkin spices, but not like actual pumpkin. I preferred using somewhere between 1/4 and 1/2 ounce of Maker’s 46 per 4 ounce serving of eggnog. 1/4 ounce was not quite enough bourbon to be noticeable. 1/2 ounce was almost overwhelming. But that’s all personal preference. Since bourbon is added after the eggnog mixture is completed, you can add in as much or as little as you like according to your taste preference. Place evaporated milk, condensed milk, vanilla, cinnamon, cloves, nutmeg and pinch of salt into a large saucepan. Use a whisk to combine all ingredients. Turn heat to medium low. Stir continuously so milk does not scald. Bring to simmer. This takes approximately 20 minutes. Remove from heat once mixture begins to simmer. Place four jumbo egg yolks or six regular size egg yolks in a heat proof bowl. Whisk to smooth egg yolks. Slowly add 1/2 cup of hot milk mixture to the egg yolks to temper them. Whisk continually while pouring in hot liquid. Once egg yolks are tempered, slowly add them to the saucepan of heated milk and spices, whisking continually. Place saucepan back on burner at medium low heat and bring mixture to boil while continuing to whisk mixture. This takes approximately 10 minutes. Remove from heat. Allow to cool. 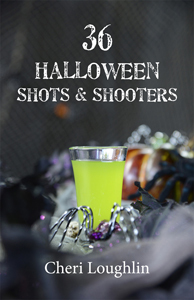 Pour into a glass jar with lid and refrigerate overnight. Chilled eggnog can be served with or without alcohol. For non-alcohol version skip the addition of bourbon and top eggnog with salted caramel whipped cream and grated nutmeg only. Use a whipped cream whipper or whip cream by hand using 16 ounces heavy whipping cream, caramel syrup and salt. If whipping by hand, whip chilled ingredients in a chilled metal bowl until soft peaks form. Add 4 ounces eggnog to a chilled glass. 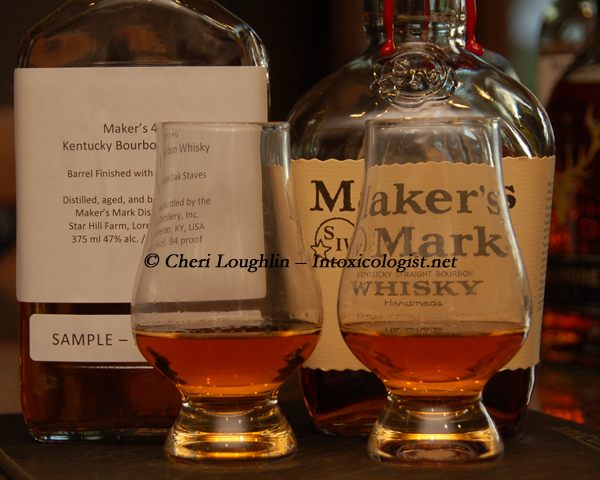 Stir in 1/4 to 1/2 ounce Maker’s 46 bourbon to taste. Top with a generous dollop of salted caramel whipped cream. Dust top with fresh grated nutmeg. Keep eggnog and salted caramel whipped cream in the refrigerator until ready to use. This is where I need your help. There’s always more to a challenge than meets the eye. I’ve been asked to post my recipe here and a photo to my Instagram page. 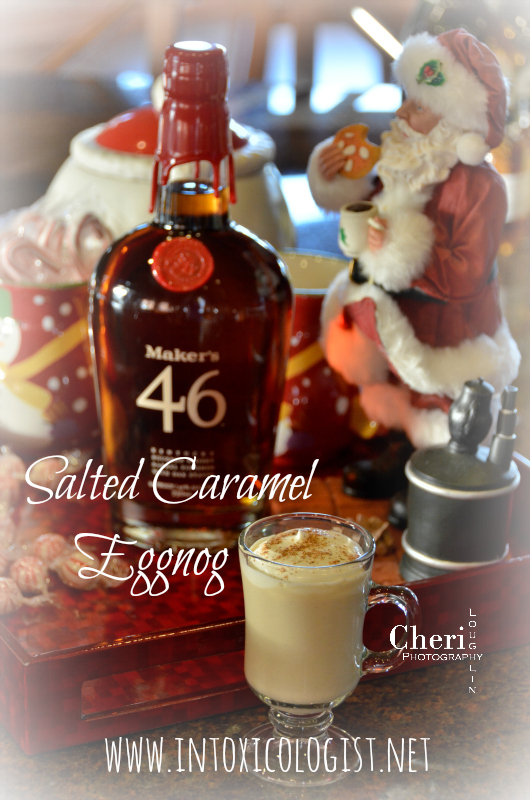 Maker’s Mark will also post my eggnog photo and abbreviated recipe to their Instagram page. They are posting everyone’s photo and recipe in this challenge. You’re asked to like and comment on your favorite #GetCozyCocktail eggnog recipe on their Instagram page. The eggnog with the most likes and comments combined wins. I would love it if you checked out Maker’s 46 Instagram page December 11 – 17 and like and comment on anyone’s eggnog that stands out as phenomenal to you. If it’s my recipe and photo; fabulous! 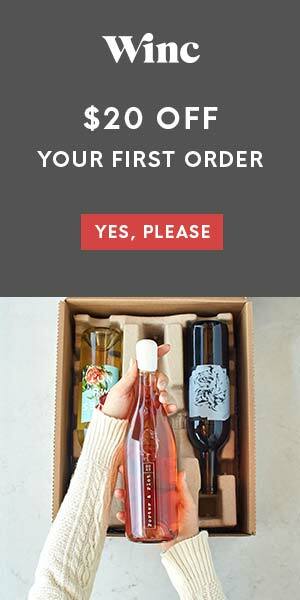 If it is someone else’s recipe and photo, I’m just as thrilled because it will make their day and you just might discover a new to you cocktail blogger. Win win for everyone! I know this was lengthy, so thanks for sticking around to the very end. Cheers to the holiday season! This looks so good! I love egg nog! I can’t wait for Christmas!!! I hope you get a chance to enjoy lots of eggnog this holiday season. Merry Christmas, Emily! Thank you Agy. I hope you get a chance to make a batch of eggnog this year. Cheers! Wow, this is so festive and cozy! Looks delicious! Thanks for sharing. 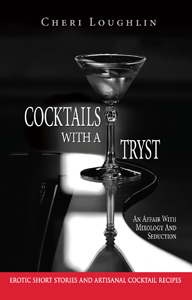 Although I drink very little alcohol this sounds heavenly. I made the base eggnog recipe without including the liquor in it for people who don’t drink and those who would like to share it with their kiddos. It’s always good to have non-alcohol variations so everyone can join in. I have never been a fan of eggnog- a little afraid of the raw eggs! This sounds delicious, a modern update of an old classic. Hi Michele. I’ve consumed fresh egg white in cocktails for a long time, but get a little squeamish about raw yolks. That’s why I chose a heat method eggnog and lowered the amount of eggs that are usually in eggnog. This one is creamy smooth without too much eggy flavor. 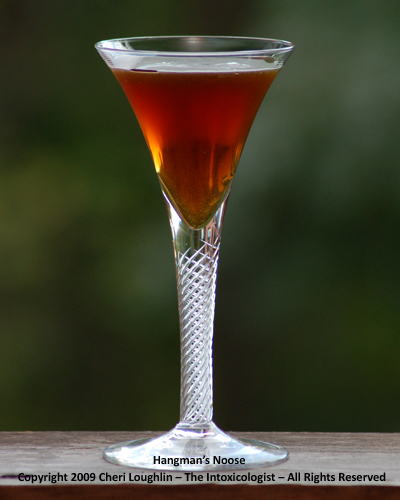 If it had a splash of Irish whiskey in it, it would remind me a lot of Irish cream liqueur. I think this sounds delicious! I love eggnog but have never made it at home. Definitely give it a whirl, Leslie. So much better than bottled eggnog from the store. It did take a little effort and time, but was relatively easy to make. My Handsome loves Eggnog and I love Maker’s Mark. So we will both be happy! Thank you. Sounds like you have a winning combination there, Mary. Cheers! Omg, you had me at “salted caramel!” What a combination! Thank you Emily! I hope you get a chance to make it.